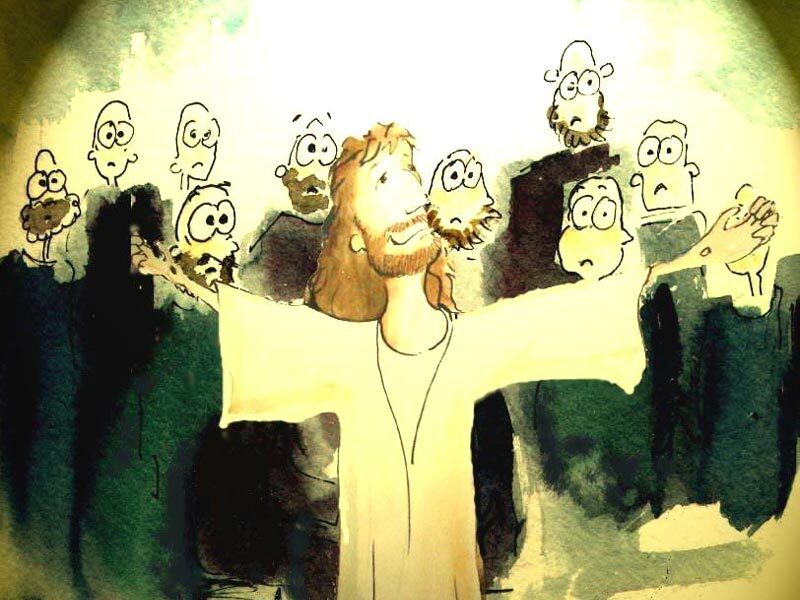 We see that what happens in today Gospel is that Jesus comes to see his disciples. I kind of see why disciples were so terrified, this was their master whom they betrayed. And he is so powerful! … What about revenge? What he will do to us? So He needs to open their minds to understand Scripture to help them overcome all this fear, lack of faith, unbelief, all questions and doubts.. He is awesome. He gives them time to get used to him again. To cool down. I see big smile on his face. This is his eater message. For us too. Among joy of resurrection, he reminds us about what this all is for! And doing everything what he told us to do in the Gospels. How is your growth in faith? In relation with God? Or maybe there is no growth..? Is there anyone whom you need to forgive? Or ask for forgiveness? Is there something you try to hide from God? Which you haven’t given fully to him, what you hold back, trying to be smarter than what Jesus teaches? As you see central message for Jesus is his care for us. These are fruits of his redemption: he offers us forgiveness, reconciliation and support on our way of daily conversion. Renewed by Easter joy celebrations make it big in our life too. ← Divine Mercy. Divine Message.